I agree. It's a pretty simple. CO2 pressurizes the keg, you open the faucet and the pressure pushes beer out. The only times my system has ever not poured is when hops or a mesh bag got stuck in the dip tube or the CO2 tank was empty. I would invest in a couple of spare QDs (quick disconnects). You can never have too many and the spares are handy to run cleaner or sanitizer through. I have also heard mistakenly swapping the gas and liquid QDs can damage them but I have done it and they still work. 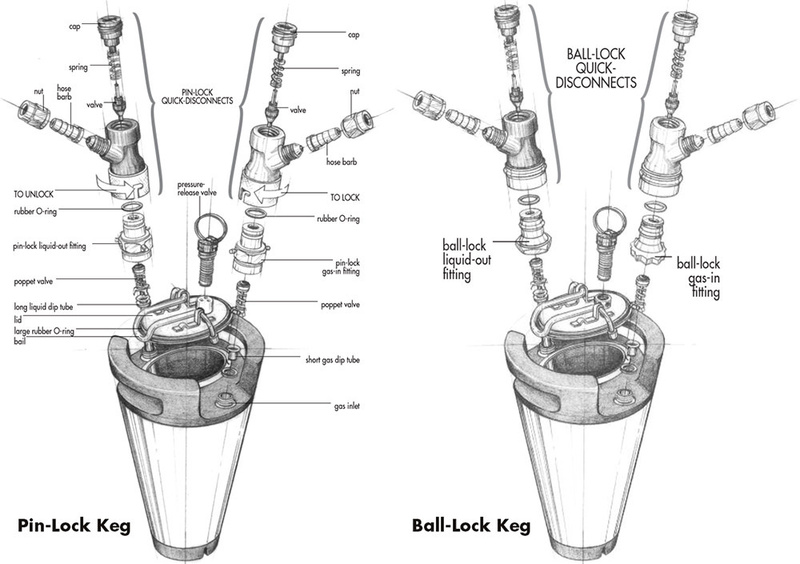 Most ball lock kegs have a slot cut or dimple in the handle of the gas in so you can find it under bad lighting like in a bar. The few I have that do not, I labeled with a Sharpie IN/OUT so I don't screw up. Another helpful reminder is grey=gas black=beer. Keg lube or just dunking the QD in water first make them go on easier. I dry hopped a cannonball. Bad idea not to contain them. Next time I'll bag 'em and secure 'em. My claim to shame: kegging day, I thought I had a tea ball for hops, but I was mistaken. I sanitized a ziplock, poked some holes in it, loaded it up, and tossed it in. My holes were a little big. Those tea or spice balls have always worked best for me with pellet hops. They contain the hops and don't get sucked up in the dip tube. When the keg is empty just dump them out, open them up and tap the spent hops out into a garbage bag. I have noticed that the clasps corrode and have to be replaced. I just use a piece of SS wire. I just use a one gallon paint strainer bag put sanitized marbles in for weight and use unflavored dental floss to suspend the bag in the keg works fine.